As some members may already be aware, there exists a facility to have a 'signature' on your profile - which unless you uncheck the box, displays at the bottom of your every post. I must admit I have quite a lengthy one, but the novelty of using it wore off long ago. Indeed nowadays, and from the very outset of the forum, I discourage members from using them, because they only serve to clutter. In a similar vein - keeping the forum clean-looking and uncluttered: Signatures. 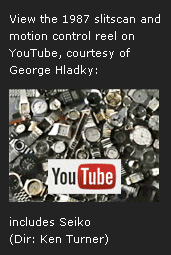 As you can see from my first post, I'm still using that slogan from the 1986 TV Seiko advert, which I've used on other watch forums. 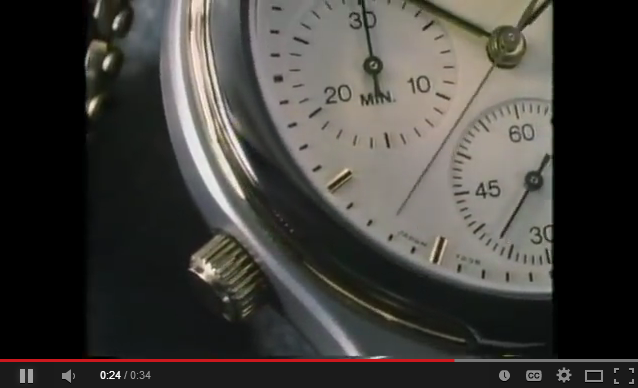 It comes from a Ted Bates produced advert, featuring a Titanium Seiko 7A38-7120, and was filmed using a motion control camera. It's also very annoying to keep seeing it pop (by default) every time I post. That's why I'm unchecking the 'Include my signature' box 99% of the time. and please change the font to something different from the default Arial. There is also the facility to include URL links and photo images in your signature. Rule # 2 - Until I figure out how to disable it, do not even think about going there. Unfortunately, when it comes to close-up shots of the 7A38-7120, where the chrono' sweep second hand is conveniently synchronized with the constant seconds hand, on the example they've used, the sweep second hand misses its marks by a country mile. and there is what is best decribed as some clunky piano music, which keeps time with the seconds beat, playing in the background. 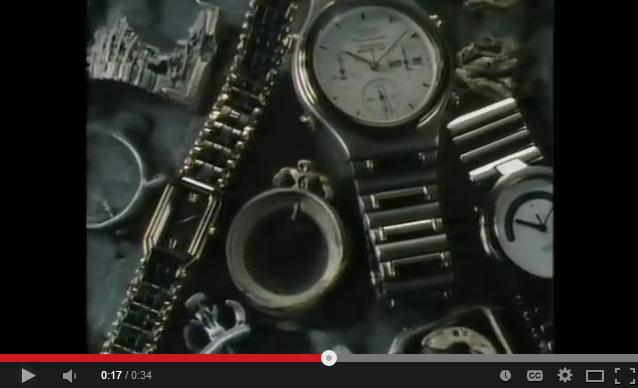 Athough I distinctly remember seeing the advert on UK TV back in 1986, at the time I had no idea that the watch featured was a 7A38 (of any kind) - indeed I didn't buy my first, a stainless 7A38-7270 until a couple of years later. Perhaps the quirky advert had planted a subliminal message - but even then it didn't 'click'. When I 're-discovered' 7A38's about 5 years ago, I saw the advert on YouTube and became fascinated by it - hence I started using that slogan as my signature on a few other watch forums. Camera Effects was a film opticals studio (post-production and visual effects) based in London. It had a world wide reputation for producing film special effects for television commercial and film title projects. Presumably Ken Turner was the freelance director of the Seiko commercial - because he didn't work for directly for Camera Effects. His Wikipedia entry: http://en.wikipedia.org/wiki/Ken_Turner_(director) - includes a link to another company - Clearwater_Features. But that wasn't the anorak-level information referred to in the title of this topic. Oh No. Truth is, I haven't always used exactly that. Sometimes slight variations of the full advert spiel - depending how the mood took me. 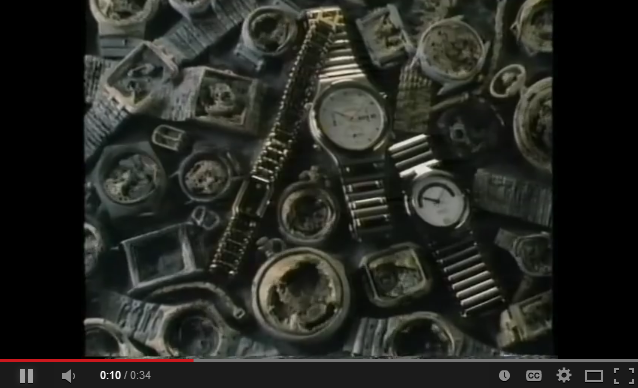 Incidentally, the punchline slogan (penned by the Ted Bates ad agency): Some day all watches will be made this way. .... actually dates back to the late 1970's. As you can see, I'm not exactly what you'd call a prolific poster on the MWR forum - 27 posts in 3 years ! .... and that's when the slightly anorak-level information, referred to in my topic title came to light. 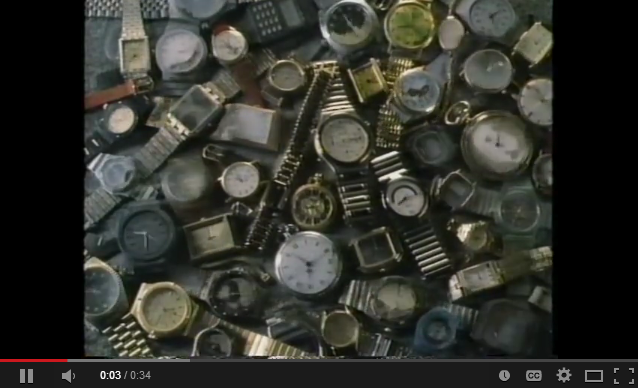 Now I'd always assumed that the 'clunky piano music' was something which Seiko had commissioned for their 1986 advert. I did start to watch it and managed to last about 10 minutes before I gave up - too weird for me - never a fan of 'Art House' movies. which, amongst other things, features time-lapse photography of dead animals decaying. 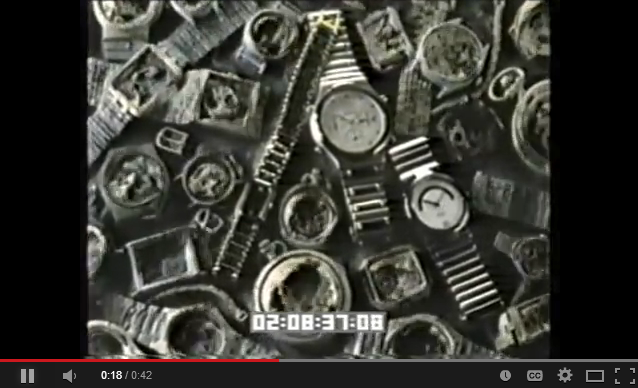 The advert obviously mirrors this with all the other watches decaying around the Seiko.